Castling is a special kind of move. You can only castle one time in a game and only in certain conditions. 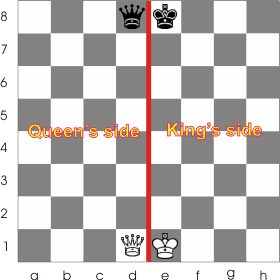 Before we get in more details there is a notion you should be familiarized with : the king's side and the queen's side. If you divide chess board into two parts you get two sides. Looking at the board from White's side the left side is the queen's side and the right side is the king's side. As you may guess there are two ways you can castle : on the king's side(king's side castle or short castle) or on the queen's side(queens's side castle or long castle). 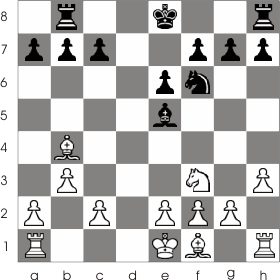 Castling is marked by 0-0 (short castle) or 0-0-0 (long castle). 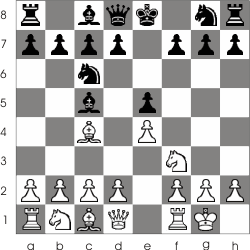 Look at the following boards to better understand the notion of castling. 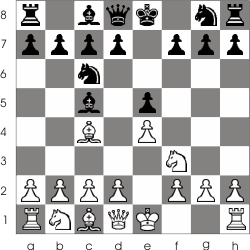 You should keep in mind that when you castle you should always move the king first and then the rook so that your opponent doesn't claim that your intention was to move the rook (remember the rule : If you touch a piece you have to move it). Let's take a look at the situations in which you can't perform the castle. you can't castle if you moved the king before even if you brought it back on its original square. you can't castle if you moved both rooks. However, you can castle with a rook that hasn't been moved. That means that if you moved one rook you can still castle with the other one. 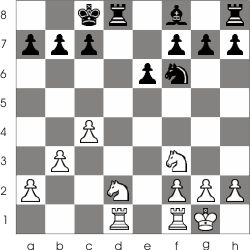 Castling is temporarily forbidden if between the king and rook are other pieces, if the king is checked or if any of the squares over which the king should jump over or on which it should be placed are under the control of an enemy pieces. But what is the purpose of castling? Why should we castle the king and not just let it as it is? The answer to that is simple. The corner of the chess board is much safer for the king than the center. While in center the enemy pieces can attack the king from all sides when castled the king greatly reduces the areas from which it can be attacked thus making life much easier for the player. In the short version that is why you should castle. 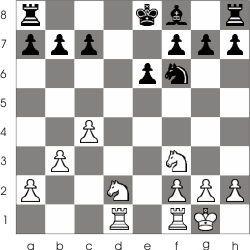 You will understand more why you should castle after you will gain some experience in chess .